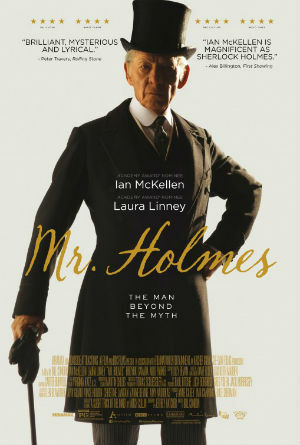 The Cinema Conversations group will discuss "Mr. Holmes," playing at Burns Court and AMC Sarasota 12. So enjoy the film on your own and then join us on Wednesday, August 5, at 7 pm in the Lexow Wing at the church. The group will also share a few thoughts about "Hector and the Search for Happiness," which was shown at their last meeting.